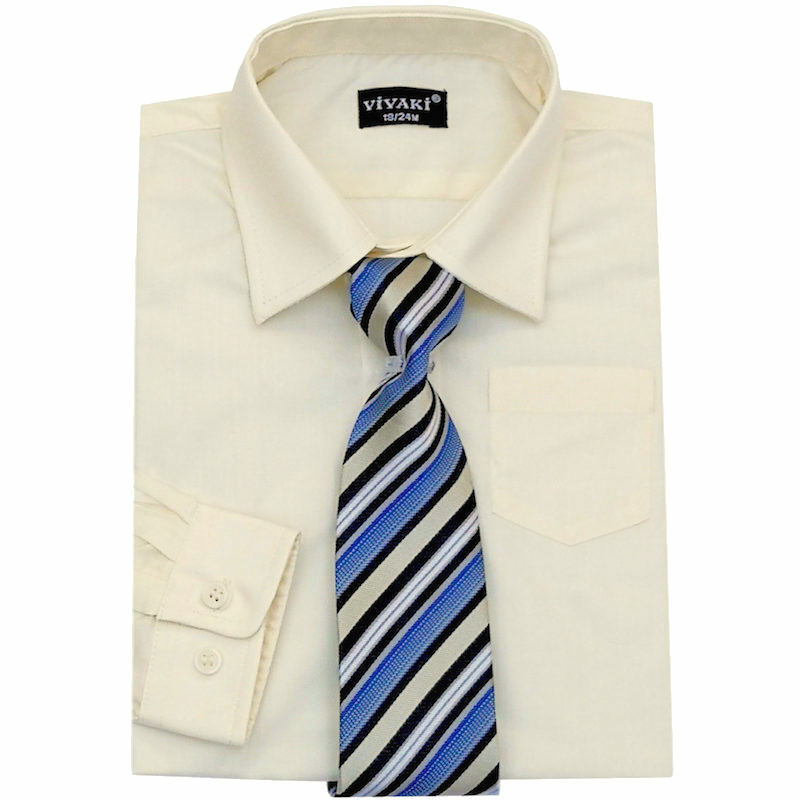 Boys cream formal dress shirt & tie box set, the perfect match to any suit for a special occasion. Shirt: Long sleeved cream shirt in a classic fit style. Made from poly/cotton blend to offer a soft yet sturdy fit. 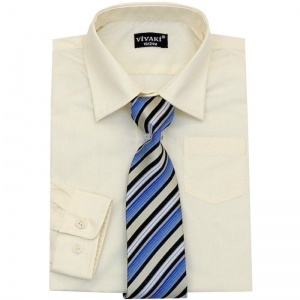 With an italian style collar, single breast pocket and double buttoned cuffs.